faceless book: What if all people "think different"? While having lunch with my wife today, we noticed that all except one of the members of the family at the table next to us were engaged in – no, not a conversation – their electronic gadgets, and those gadgets happened to be Apple products – iPhones and iPads. We started talking about how it used to be the Apple Daily, Hong Kong’s leading newspaper, rather than the the Apple gadgets, that captured the attention of the Chinese restaurant customers, and we moved on to discuss the factors that have made the computer company such a phenomenal success. It is easy to name a number of surface reasons, such as the high quality and elegant, minimalist designs of the products, the large number of trendy people as followers, which further enhances the company’s image, etc. 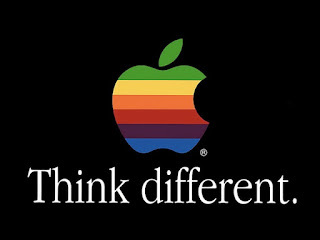 But at the end of the day, much of the credit would have to go to Steve Jobs and his philosophy. Isn’t staying hungry and foolish the exact opposite of what people wish for themselves? 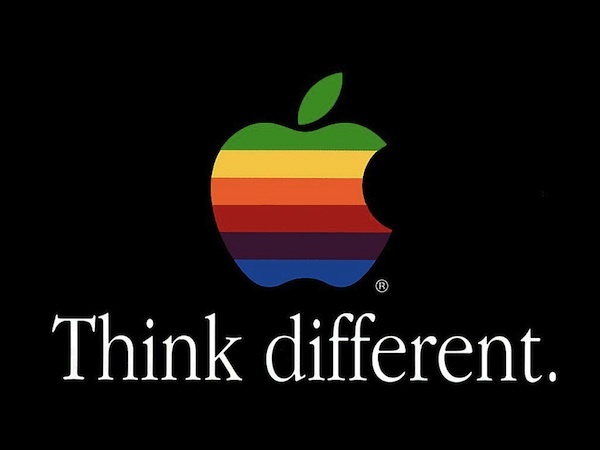 However, isn’t this very idea what has brought so much success to Steve Jobs and his company? I am sure that many people are aware that thinking differently is what would make them successful and that many people wish that they can think differently from the mass. But I am equally sure that it is much, much easier said than done. It may sound like a twisted piece of logic, but if many, many people were able to think “differently”, would the “different thinking” not then become the common thinking of the mass?